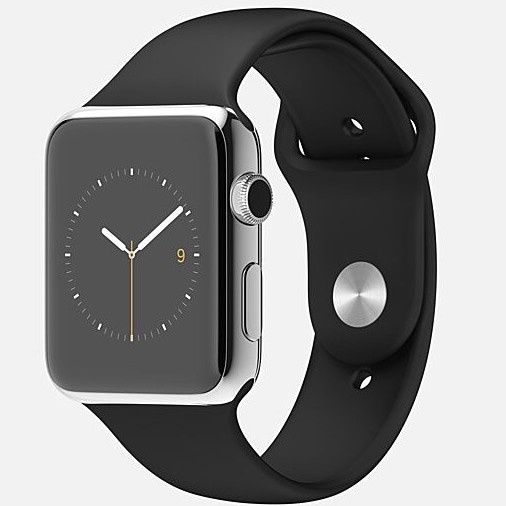 The scuttlebutt on the internet is that the Apple Watch isn't selling very well. Add to that the voices of some people who haven't taken a liking to the Apple Watch, and one might fall into the trap of thinking that it's a failure. But it isn't, and Apple's wise choice to not reveal sales numbers and roll it out slowly is turning out to be incredibly clever. We wanted to roll out [the Apple Watch] slowly. To put it in perspective, you can buy Apple Watch in 14,000 locations. You can buy the iPhone at over 200,000. And so we’re still in learning mode. We’re learning fairly quickly, though. We know a lot more than we did a year ago. And you’ll see the Apple Watch getting better and better. This statement deserves some serious analysis. But first, let's set the stage by estimating the Apple Watch sales in its first year on the market. This isn't an exact science, but there are reasonable methods to use. Here's what I researched, with references, for Apple's four Fiscal quarters. That's 15+ million in the first year on the market. With an ASP of US$320 (Maynard Um), that's a total first fiscal year revenue of $4.9 billion. That's actually quite amazing by any standard. Rather than try to compare that unit sales number to historical, ebullient but SWAG estimates by observers, I want to look at Mr. Cook's comment above and put it in context. That is, why would Apple both roll it out slowly and also decline to reveal sales numbers? 1. Deception. A major reason to keep the sales numbers a secret is to tread carefully in a brand new market, wristwatches. These have been in popular use for over a hundred years, and Apple wanted to make sure that it could avoid ruffling the competitive feathers of the experienced competition. If there were to be no widespread, authenticated reporting of Apple's success, Apple could essentially boil the competition's frog. The fact that the Apple Watch is generally being reported as a failure, thanks to the absence of sales reporting by Apple, is actually a plus when it comes to deception. 2. Getting the Tech Right. Before launch, Apple knew there would be new and risky features of the Apple Watch. The need to tether it to a paired iPhone 5 or later, the need to charge it fairly often, perhaps every night, and the fact that the display is generally off, needing a tap or arm gesture to light up the display could have so disappointed customers that the product might have totally failed in the market. Despite the marketing fanfare, Apple executives probably weren't sure how these limitations would be perceived by potential customers. Hence the apparent decision to roll it out slowly and track the acceptance. If the acceptance were abysmal, Apple would have the liberty to quickly rethink the situation and make urgent improvements that would, perhaps, entail considerable engineering improvisation. Keeping sales numbers mum would avoid the appearance of initial failure. If the acceptance were good, as it apparently has been, then a more considered, technically sound, well-paced approach could be taken to Apple Watch 2.0. That's where we think we are today. 3. The Luxury Angle and RIght Pricing. In a similar fashion, Apple had to get a feel for how customers felt about the price for the basic model. Set it too low, and customers might feel that it's not a device of technical heft and merit, in the Apple tradition. Set it too high, and sales would be poorer than desired. Once Apple had a feel for the sales of the first version, and production was in good order and producing economies of scale, the price was lowered in April, 2016. The 38 and 42 mm Sport models were lowered from $349 and $399 to $299 and $349 respectively. Sales took off, soared 250 percent, and stayed higher. See: "Study: Apple Watch price drop goosed sales 250%, iPhone SE popular among switchers." Keeping the Apple Watch sales a secret and rolling it out slowly allowed Apple to edge into an established market without either seeming to fail or unduly alarm the competition. Apple knew that in the absence of quantitative sales data, many doubters would declare the Apple Watch a failure, and that suited Apple fine so long as it met the company's own internal sales goals. This strategy also bought Apple time to assess the market, collect usage data from the device itself, and evaluate customer feelings about the product. It allowed Apple to decide if it had an emerging winner and could safely move on to version 2.0 in 18 months. This bought Apple time to invest in the next generation technologies that the company knows will make it a long-term winner: health and fitness monitoring. As with previous products like the iPod and the iPhone, this strategy allows Apple to take a confident, commanding technical lead before the competition can marshall resources and the will to catch up with Apple's enormous manufacturing capabilities. And that's why Tim Cook said what he did. Roll out slowly. Learning mode. Learning quickly. And you’ll see the Apple Watch getting better and better.